The religious devotion, the exciting smells of freshly baked buns and delicious pastries, the ancient, local customs and the nature at spring which blossoms compose the scene of the most joyous and yet most solemn time of the year; Easter. The beautiful and multi-sung Thessaloniki or Salonika is one of the most captivating destinations of Greece. Ottoman mosques, Roman columns, early Christian and Byzantine churches, countless local delicacies and endless nightlife compose a perfect "city break" destination. During spring time, nature awakens and earthly paradises hidden in every corner of Greece unroll their most fascinating secrets, in a range of wonderful colors and pleasant aromas! The multifaceted Athens, the "Cradle of Western Civilization", is a city welcoming, lively and full of Mediterranean light! 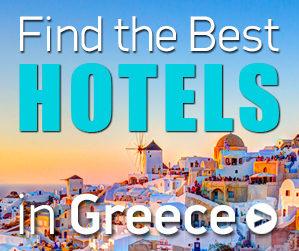 Find out what you can do in a 4-days city break in Athens. We are already in the middle of Carnival celebrations period and the whole place is flooded with colors and music, dragging people to frantic rhythms of entertainment, relaxation and revelry! We are just before Christmas holidays and the whole country has started showing its festive face. Those who are in Athens or nearby and looking for a destination for their Christmas vacations, can choose between various beautiful places! The countdown to Christmas holidays have begun and North Greece has already worn its festive “clothes”; every corner is full of lights, colors, festive melodies and smells of delicious pastries, waiting to take you to dreamlike and fairy worlds! Xanthi, the Lady of Thrace, is a place with a history that goes back to many centuries. It got its name from either a beautiful Amazon or a daughter of Oceanus. Here, Hercules arrived to tame Diomedes’ man-eating horses. A fantastic day trip to the mountainous Corinth which anyone must do. The visit in the Lakes of Stymfalia and Doxa will be unforgettable as well as the visit in Mesaia Trikala of Corinth.